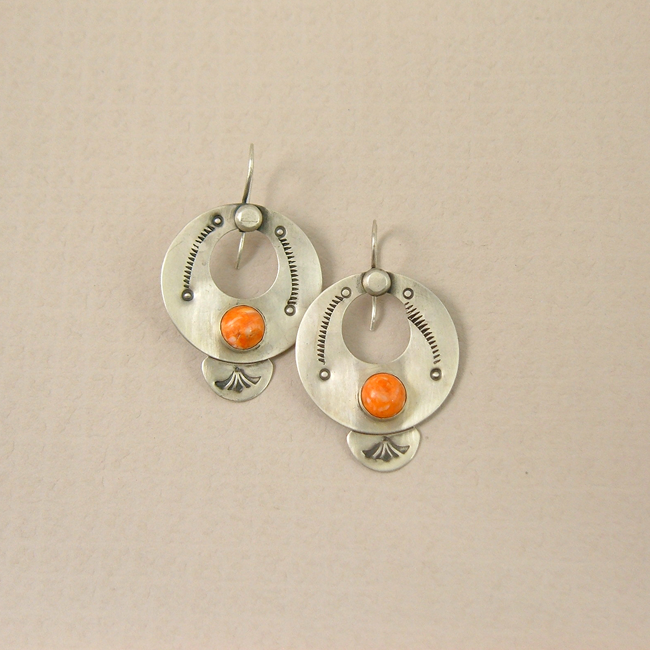 Handcrafted hoop earrings have a way of complimenting the frame of your face, your hairstyle and wardrobe. 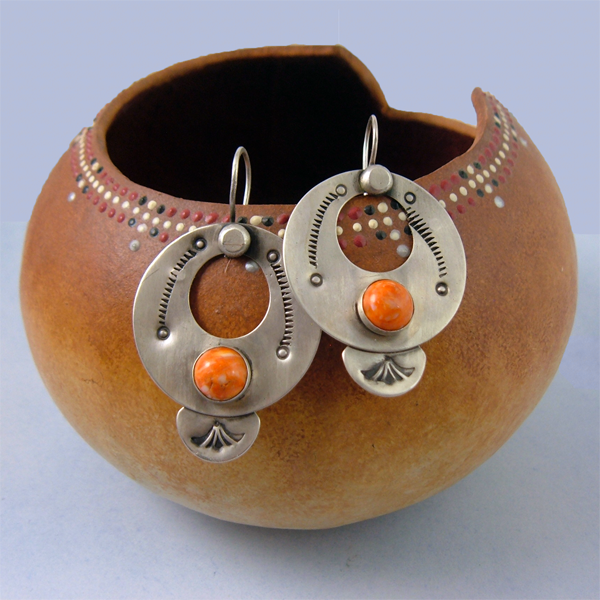 These sterling hoop earrings were forged then hand stamped with Navajo inspired designs. Spiny oyster was then added for character. Ear wires are soldered to keep them in place and not pull on the ear. I gave the silver a brushed matt finish for a vintage, antique look, reminding you of the American West. 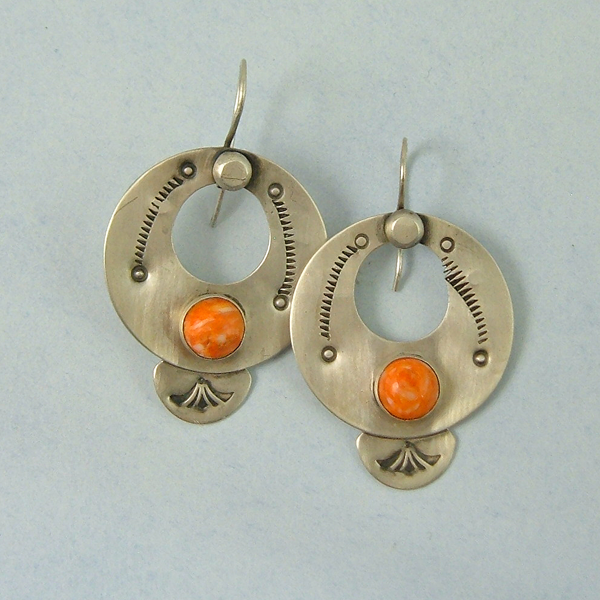 These hoop earrings are so comfortable you'll forget you're wearing them. The spiny oyster color is beautiful during spring or summer and works well with so many other colors.